Tick paralysis is a common and life-threatening emergency which caused by a tick bite. There are hundreds of species of ticks worldwide, with as many as 40 of whom are capable of producing paralysis. 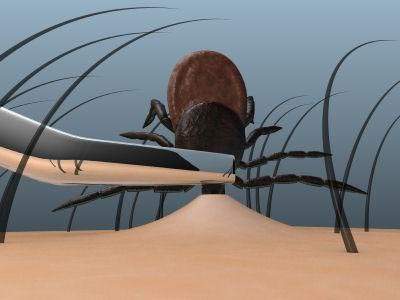 Most cases of tick paralysis occur in Australia and the United States. Ixodes holocyclus (commonly referred to as paralysis ticks) are the species capable of producing paralysis in Australia. These ticks live on the east coast from North Queensland to Northern Victoria. They can be found year-round, however, are most prevalent in early spring and summer. Their natural hosts are the long-nosed bandicoot and the short-nosed bandicoot. But they can also parasitise other native animals including the possum, wallaby, and echidna, all of whom have a natural immunity to the tick’s toxin. However, paralysis ticks will infest domestic pets, livestock, and humans. The preferred habitat of ticks is areas of bush and scrub but can be picked up in other areas such as gardens, parklands, and paddocks. In the United States, there are two main species of tick capable of producing paralysis, Dermacentor variabilis (American dog tick) and Dermacentor andersoni (Rocky Mountain wood tick) with most cases occurring in the Rocky Mountain states, Pacific Northwest and southeastern states between late spring and early summer. The appearance varies between species, below is an image of the Ixodes holocyclus tick, located in Australia. Ticks have 4 stages (moults) of life and require three hosts (either the same or different species) to complete their lifecycle, dropping off their host and re-attaching during each moult. The amount of time this take is dependent on the environmental temperature. The tick is capable of injecting a neurotoxin into the cat during the larval, nymph and adult stages, however, the largest amount of toxin comes from the adult female. Egg – The female tick lays up to 3,000 eggs which hatch within 1-3 months into larva. Larvae (6 legged) – Approximately the size of a pinhead, tick larvae attach to their host within a week of hatching, feeding on the blood for up to a week. Once engorged, they drop off the host onto the ground and undergo the second moult, developing into the nymph. Nymph (8 legged) – Now, the size of a match head, the nymph finds a host, feeding for between 4-7 days before dropping off and entering the final moult stage. Adult (8 legged) – After a week, the adult ticks mate and find a new host to attach to. She finds a host to have one final blood feed, becoming engorged and then falling off the host and laying her eggs and then dies. How do paralysis ticks get onto cats? Stimuli such as heat and movement alert the tick to a potential host, it climbs onto vegetation and when an animal passes, it waves its forelegs (known as questing) until it makes contact with the host. What do paralysis ticks do? It is the adult female tick who attaches to animals, the male actually parasitizes the female tick. As the tick attaches to the cat and borrows her mouthparts into the skin, she injects saliva, which contains a number of compounds that help the tick to bypass the host’s natural blood clotting ability so she can feed for over several days. This includes anti-clotting agents, antiplatelet agents, and vasodilator, which relaxes the blood vessel walls. The saliva also contains a neurotoxin-a toxin which acts on the host’s nervous system-which causes paralysis. The tick is small when she attaches to her host, growing in size as she consumes more blood, a fully engorged tick can be as large as 10mm (1/4 inch). Toxic effects don’t occur quickly, as they do with snakes and spider bites and clinical signs can take 3-5 days after attachment. Even removal of the tick at this point will not stop the progression of symptoms. 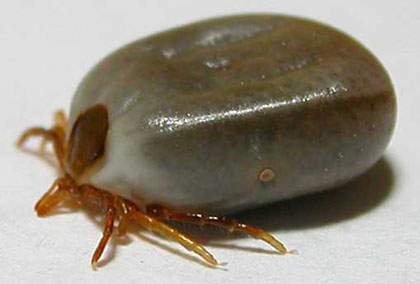 Ixodes holocyclus symptoms develop between 3-5 days after the tick has attached. Dermacentor variabilis (American dog tick) and Dermacentor andersoni (Rocky Mountain wood tick), symptoms develop within 5-9 days. The severity of symptoms is greater with I holocyclus than D. andersoni or D. variabilis. Limb weakness, starting in the hind legs and progressing to the front legs, appearing wobbly and uncoordinated, falling over, unable to jump, eventually, the cat will be unable to stand at all. Try to keep yourself and your cat as calm as possible. Remove food and water as poisoning can prevent the cat from swallowing properly, which can lead to choking. Take him to the veterinarian immediately, call ahead to let them know you are on your way. The longer you delay taking your cat to a vet, the worse the symptoms will become. Treatment depends on the severity of the symptoms and is different from case to case. The greater the severity, the more intensive the treatment. Your pet will almost certainly be hospitalised and given antiserum to treat I. holocyclus. The serum, which is the clear part of the blood containing antibodies, is obtained from dogs who have been made hyperimmune via repeated exposure to paralysis ticks. Sedation may be given prior to commencing treatment as stress can aggravate symptoms. Cats affected by D. andersoni or D. variabilis usually improve within 24-72 hours once the tick has been removed. Artificial tears in the case of eyelid paresis to prevent the cornea drying out. Regular monitoring of your cat’s temperature to avoid hypothermia or hyperthermia and necessary steps if they do develop. Catheterisation if your cat is unable to urinate on his own. Oxygen therapy will be necessary if your cat is having difficulty breathing. Frequent tick checks, to make sure there are none remaining. Intravenous fluids to treat or prevent dehydration. Keep cats recovering from tick paralysis stress-free. Recovery is dependent upon the severity of symptoms and how quickly treatment commenced. Generally, veterinary treatment takes 2 plus days. It will be necessary to care for your cat for some time after discharge from the hospital. Your cat will need to stay indoors for at least two weeks after discharge from hospital. Small meals should be fed 2-3 times a day, and close monitoring to ensure your cat is able to swallow normally. Continue to check your cat for ticks at least once a day. Wear latex gloves when removing a tick. Using tweezers or a tick remover, which you can purchase these for a few dollars from your veterinarian, firmly grasp the tick’s head, as close to the cat’s skin as possible. Be extremely careful not to squeeze the body of the tick as this will inject more poison and pathogens into the cat’s system. You can also kill the tick while it’s still on the cat by using an appropriate insecticide, such as Frontline spray. After removal of the tick, there will be a crater where the head was, this will remain for several weeks. Watch for signs of infection. Even after the removal of a tick, your cat can still develop symptoms associated with tick poisoning, and careful monitoring of your cat will be necessary. Once removed, save the tick by placing it in a jar of methylated spirit or alcohol so you can take it to your veterinarian for identification. Start from the tip of the nose and using the tips of your fingers, work your way right down to the tail. Ensure you check between the toes, inside the ears (be careful). Go against the grain of the fur and don’t forget to check underneath collars. Ticks will feel like small bumps on the skin. Even indoor cats can be affected by ticks, a local rescue group had a kitten in their care treated for tick paralysis this summer. The kitten was indoors only. Check your pet thoroughly every day for ticks and remove any you find. Avoid letting your cat roam in the native bushland. If your cat goes outdoors, use a tick preventative. What is Lyme disease and does it affect cats? Lyme disease is an infection caused by a bacteria known as Borrelia which is transmitted via tick bites. Although it has yet to be proven that the paralysis tick passes on Lyme disease to cats in Australia. Lyme disease is passed on via the Deer Tick, also known as the Black-Legged tick (Ixodes scapularis) in North America. You cannot catch Lyme disease from your pet, but it is possible for humans to become infected from ticks. Is there a tick vaccine? No, not currently although the University of Technology, Sydney is working on a tick toxin vaccine.